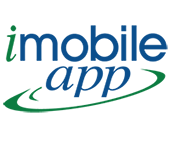 News - iMobile Solutions, Inc.
NEW YORK, NY. June 10, 2014. 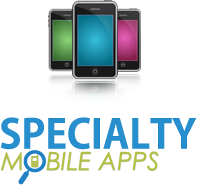 Sparta Commercial Services, Inc. (OTCQB: SRCO) announces the launch of iMobileApp, a new product that will allow small and growing companies to harness the power of mobile apps, at a fraction of the cost of traditional and web marketing. New York, NY - February 13, 2014 - Sparta Commercial Services, Inc. (OTCQB: SRCO) announced a reciprocal marketing agreement with Allstate Insurance Company. 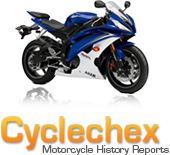 As part of the agreement, Sparta’s Cyclechex online motorcycle history reports will be available to Allstate customers and non-customers who are considering the purchase of a pre-owned motorcycle or are selling a motorcycle and wish to provide assurance to potential buyers. Allstate will also have the option to offer its insurance products to Cyclechex customers. Powersports Dealers using Specialty Mobile Apps now able to integrate More Than Rewards’ customer loyalty and reward programs. Consumers will look up products in-store on their smart phones and receive instant rewards on their purchases. NEW YORK, NY, September 11, 2013 -- Sparta Commercial Services, Inc. (OTCQB: SRCO) announced today that its subsidiary, Specialty Reports, Inc. (SRI), has entered into a strategic partnership with More Than Rewards, LLC, a leading provider of web-based customer loyalty and rewards programs for over 1,900 motorcycle and powersports dealers. Through the new partnership, current Specialty Mobile App dealers will get the competitive advantage of having a loyalty program integrated with their mobile solution. When Allison Bauer of Superstition Harley-Davidson in Apache Junction, Ariz., wants to reach more than 5,000 of the dealership’s customers, she knows exactly where to turn — the store’s app. Superstition Harley-Davidson has an app on both Android and Apple platforms, thanks to a partnership with Specialty Mobile Apps. The app has been used for everything from a Led Zeppelin trivia contest last September to weekly marketing messages delivered each Friday. 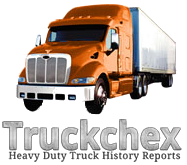 NEW YORK, NY-- August 23, 2013 - Specialty Reports, Inc., a subsidiary of Sparta Commercial Services, Inc., (OTCQB: SRCO) announced today the launch of Truckchex, an online source for history reports on commercial and heavy duty trucks. 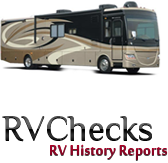 The introduction of Truckchex (www.truckchex.com) follows Cyclechex, an online source for motorcycle history reports, and RVChecks, an online source for recreational vehicle (RV) history report. Those earlier released online products have been sold in every state in the United States, and the District of Columbia, as well as in forty-seven foreign countries.